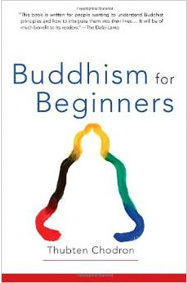 The Story Behind "Buddhism for Beginners"
Ven. 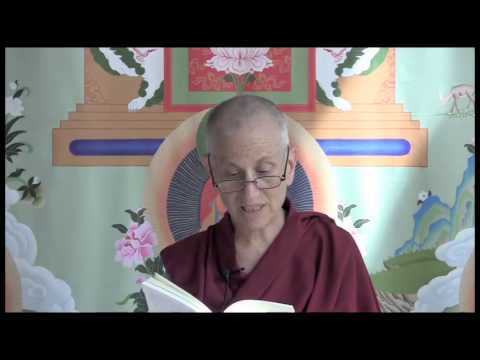 Chodron reads from "Buddhism for Beginners"
I am happy to know about this book, “Buddhism for Beginners,” by Thubten Chodron. This book is written mainly for people wanting to understand basic Buddhist principles and how to integrate them into their lives. When we experience some difficulties in life, we should reflect on the type of action we must have done that created the cause for this result. This will encourage us to be more aware of what we think, say, and do. Studying the Buddha’s teachings enables us to learn more about specific actions and their results. Then we can change our behavior and plant more seeds in our mindstreams to experience desirable results. A text called The Wheel of Sharp Weapons is particularly good in explaining the effects produced by certain actions and the way to change our attitudes and actions to create the causes of happiness. Also available in Arabic, Chinese, Dutch, French, German, Polish, Portuguese, Russian, and Spanish. Thubten Chodron has presented the Buddhist view on essential issues of spiritual development … A tremendous resource for those interested in Buddhist practice. A very compassionate book. 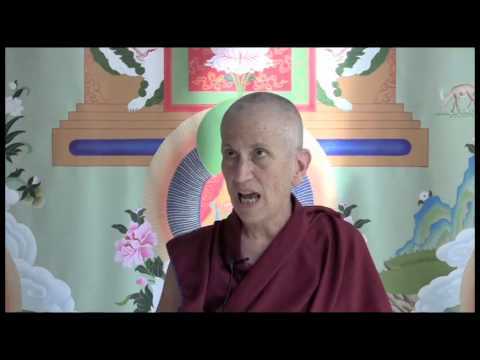 Her approach is nonsectarian and emphasizes the basic unity found within Buddhism. Her lucid, correct, clear, and convincing manner is highly commendable.